And we also thank God constantly for this, that when you received the word of God, which you heard from us, you accepted it not as the word of men but as what it really is, the word of God, which is at work in you believers (v. 13). Usually the media focuses on bad news. But sometimes there is news so good that it can’t be ignored. I’ll give you a date in history and you tell me what was on the covers of newspapers on the following day (answers at bottom). In this passage, “the word of God” refers specifically to the gospel. What is the gospel? What is the good news? The gospel could be summed up with three words: problem, solution, and response. The solution was Christ. We needed to saved. Christ our Savior took all of our sin—past, present, and future—and died in our place. He now offers us his perfect righteousness. “For our sake [God] made [Christ] to be sin who knew no sin, so that in him we might become the righteousness of God” (2 Cor. 5:21). The response is faith. The gospel is “the power of God for salvation to everyone who be-lieves” (Rom. 1:16). The church in Thessalonica began as a result of Paul’s preaching of the gospel (1:4) during his second missionary journey (Acts 17:1-9). The Thessalonians had “turned to God from idols to serve the living and true God” (1:9). Through faith in Jesus, they possessed a new hope—a hope that would be fulfilled at the second coming of Jesus. In this passage, Paul gives four truths about the reception of the gospel. 1. The gospel must be heard. 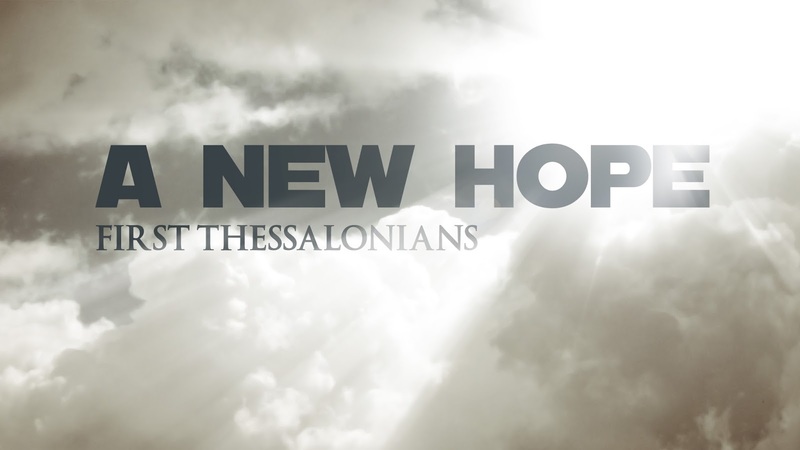 The Thessalonians had heard the gospel because Paul preached it to them: “You heard [the word of God] from us” (v. 13). It is essential that people hear the gospel. How then will they call on him in whom they have not believed? And how are they to believe in him of whom they have not heard? And how are they to hear without someone preaching? (Rom. 10:13-14). To make the gospel heard is the task of every Christian. It’s not just the task of a great missionary and preacher like Paul. 2. The gospel must be accepted. Paul writes, “You accepted [the word of God] not as the word of men but as what it really is, the word of God” (v. 13; cf. 1:5). The gospel is not a piece of advice from Dr. Phil. It’s “the word of God”! 3. The gospel works in hearts. Paul says that the word of God (i.e., the gospel) “is at work in you believers” (v. 13; cf. Heb. 4:12). The gospel “shouldn’t be just a ticket to heaven but the core of our entire lives.”  The gospel had changed the lives of the Thessalonians (1:3). We don’t begin with the gospel and then move on to other things. The good news of Christ’s death and resurrection is for every moment of every day. 4. The gospel will be opposed. There was opposition to the gospel in Thessalonica (v. 14). Paul had also experienced opposition to his preaching of the gospel (vv. 15-16). What would have happened if people of the past had stopped sharing the gospel due to the fear of opposition (e.g., persecution)? The gospel has both bad news and good news. There’s bad news about our sin. But there’s good news about God’s love. This is the good news that must be heard, must be accepted, works in us, and will be opposed. May 7, 1945? Germany surrenders in WWII! July 20, 1969? First man on the moon! November 9, 1989? The Berlin wall falls! February 28, 2010? The Canadian men’s hockey team wins the 2010 Olympic gold medal! This section is the second thanksgiving of the letter (cf. 1:2-10). J. D. Greear, Gospel, 22. We should not interpret Paul’s words in vv. 15-16 as anti-Semetic. Paul had a deep love and concern for his fellow Jews (Rom. 9:1-3). This statement is often made my Tim Keller: https://twitter.com/timkellernyc/status/395296784568033280.